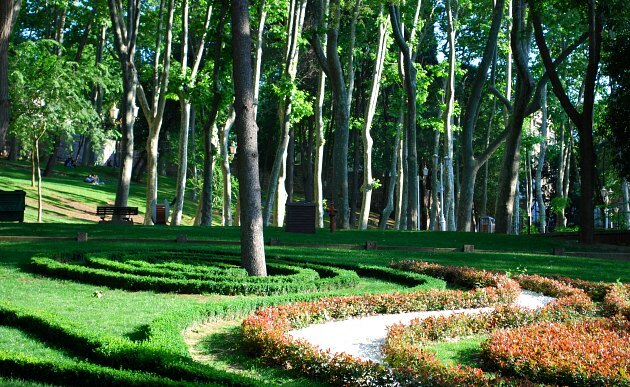 Gülhane Park is a large recreational area in Istanbul covering some of the former grounds of Topkapi Palace. 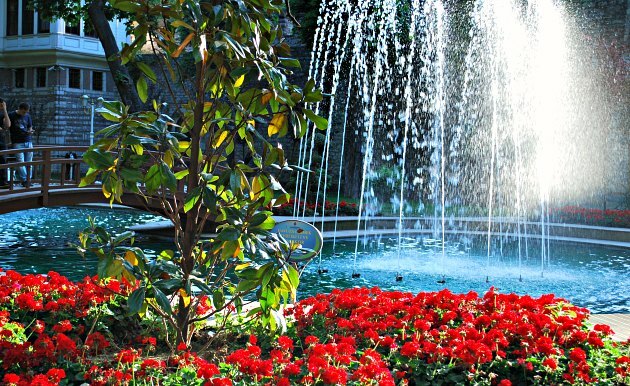 It is therefore located within the palace walls and consists of a main central walkway from one gate to the other, surrounded by trees, flowers, water features, footpaths and other features. It’s here that you’ll find the Column of The Goths, a Roman marble pillar from the 4th Century AD. At one stage the park had all kinds of additional features like a zoo and a fun fair, but has since undergone a major renovation and been returned to its roots. It was originally the flowers in this outer garden of the palace that took centre stage as the Sultan’s families walked here and they’re certainly a feature again now. The tulips are especially impressive at the right time of year. Aside from the flowers, there are a number of structures to look out for in the park. The Procession Kiosk (Alay Köşkü) is built into the palace walls and allowed the Ottoman sultans to watch military processions outside – it is now a library. Also in the park is the Museum of The History of Science and Technology in Islam, which you’ll find in buildings adjacent to the outer wall. We found the park was a lovely place to relax. There are plenty of benches to sit on and the trees provide welcome shade from the sun in hot weather. 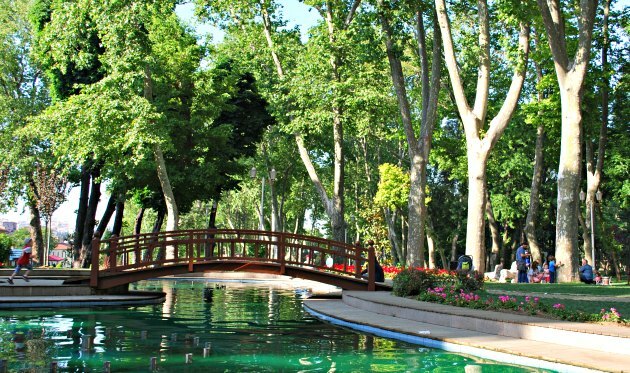 Gülhane Park opens at sunrise and closes at sunset. Admission is free. Gülhane Parki is behind Hagia Sophia near Topkapi Palace. 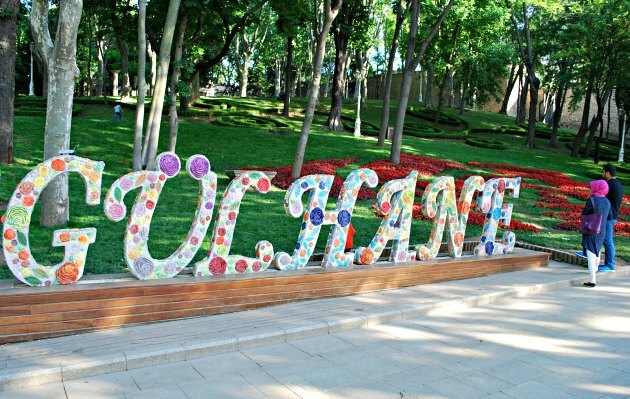 Use the Gülhane tram stop to get here, or the Istanbul Big Bus Hop-on, Hop-off Tour which stops in Sultanahmet Square.